The role and function of the artist’s studio is an underlying theme in this selection of works from the IMMA Collection which is curated in three exhibitions, floor by floor. 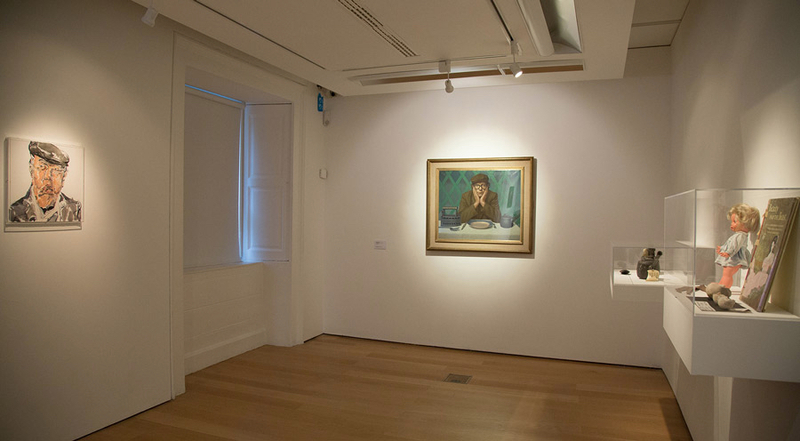 In the Upstairs Galleries, Nick Miller and the Studio of Edward McGuire presents a sort of portrait in absentia by Miller of Edward McGuire (1932-1986) and his studio; a painter of hyper-real portraits and still lifes whose studio was donated to IMMA in 2009. Read more on the IMMA website. | Assorted objects from McGuire donation and on loan from sitters. In 2009 Sally McGuire, the wife of the artist Edward McGuire (1932-1986), donated 130 key items from the studio contents of Edward McGuire to the National Collection at IMMA. Reminiscent of a Renaissance Wunderkammer, or cabinet of curiosities, McGuire’s studio objects reflect an esoteric interest in natural history such as the glass-cased and mounted specimens of taxidermied birds, shells, a sheep’s skull, a mummified cat. His method was organised and scientific: sitters recall a sense of the laboratory as the artist regarded them from beneath his green visor. In considering how to curate these biographical objects and what it might mean to exhibit them alongside McGuire’s paintings and to avoid a detached, museological approach, IMMA invited Nick Miller to be the eyes and sensibility that respond to the older artist’s studio and practice, to create a ‘portrait’ of McGuire in absentia. Miller has always held the older artist in high esteem. 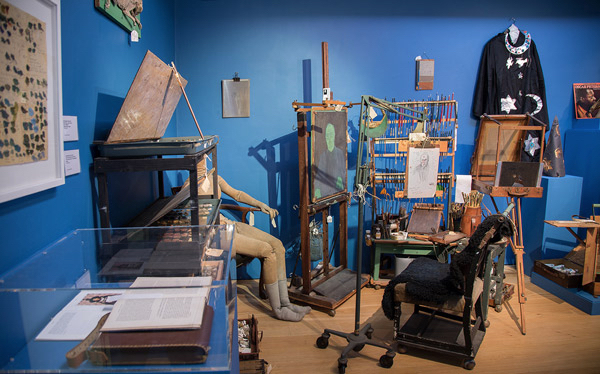 As part of the process, earlier this year Miller spent some weeks in residency in an IMMA studio, amid a selection of McGuire’s studio items. A number of McGuire’s former sitters were invited to sit for a ‘meeting’ as Miller terms it, with ‘their recollections of McGuire as a starting point for a connection’. Miller worked on his still life paintings while listening to McGuire’s jazz collection. Alongside contents from the Edward McGuire studio this exhibition includes a number of portraits, by both artists, of sitters such as Anthony Cronin, Garech de Brún and Tresa Browne, for example. Other sitters included Wanda Ryan - Smolin who sat for McGuire when she was a child, his first official commission and Paul Durcan who memorialised McGuire in a poem Portrait of the Painter as a creature of Paintstaking Courtesy. About Nick Miller Nick Miller moved from London to Ireland in 1984, and has been based in Co. Sligo since 1992. His work, whatever his subject: a person, an object, or landscape, is concerned with portraiture and with how we experience and meet the world. His paintings and drawings of friends and family members and colleagues, sometimes made from an unusually close range, parallel landscapes painted from a mobile studio devised to minimise the separation between artist and subject. Miller has exhibited in Ireland and internationally since the 1980s. His work is represented in many public and private collections. Miller was elected to Aosdána in 2001.